Maaii is a mobile application for iPhone and Android that lets you make free app-to-app calls/texts, app to mobile/landline calls, and calls to facebook users. Powered through a 3G or wifi network, Maaii delivers HD quality voice communications connecting users to one another for unlimited free app to app calls and texts. 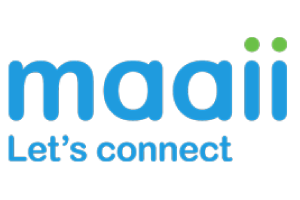 Maaii also offers free credits to call non-app users both on mobiles and landlines anywhere in the world.